Boat internals, that is...this is another plastic kit converted to r/c, a Revell 214. It's a lot neater in it's layout than my Kilo...nice work, Roger! And for size comparision, this is the 214 alongside his R&R Resolution. Those a are nice internals , Roger! 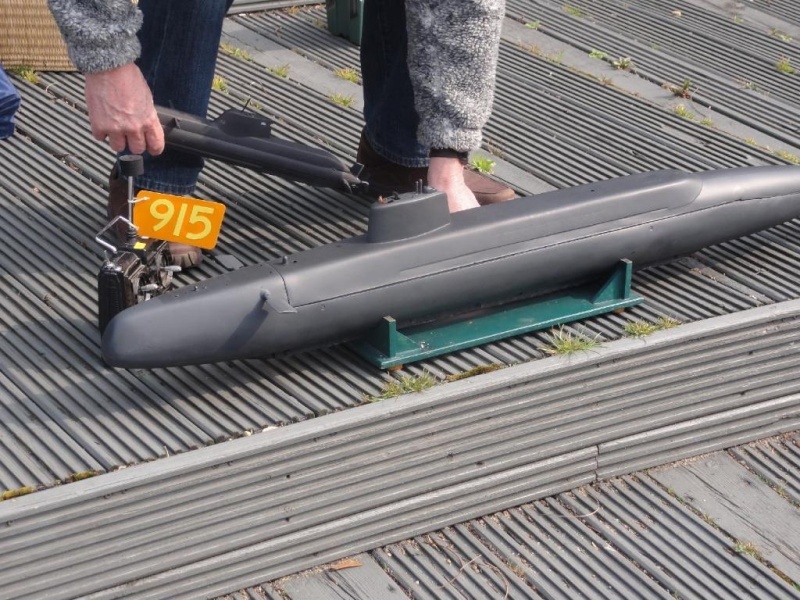 I'm very keen to convert a static plastic sub kit into an rc model and I have been researching the ways to achieve this for some time. Your WTC set up above looks nice and straight forward; just what I'm after. The problem is that the subs in the larger scales of 1/144 don't really appeal to me, although the two German classes of 214 and 212 do have an attraction. What I really want is a classic US submarine with dive planes on the sail like a Sturgeon or LA class, and so 1/350 scale seems like the only option? Obviously there are the much bigger scales in fibre glass but I just don't have the funds for one of these; I could just about afford the hull kit but not the WTC and rc components. 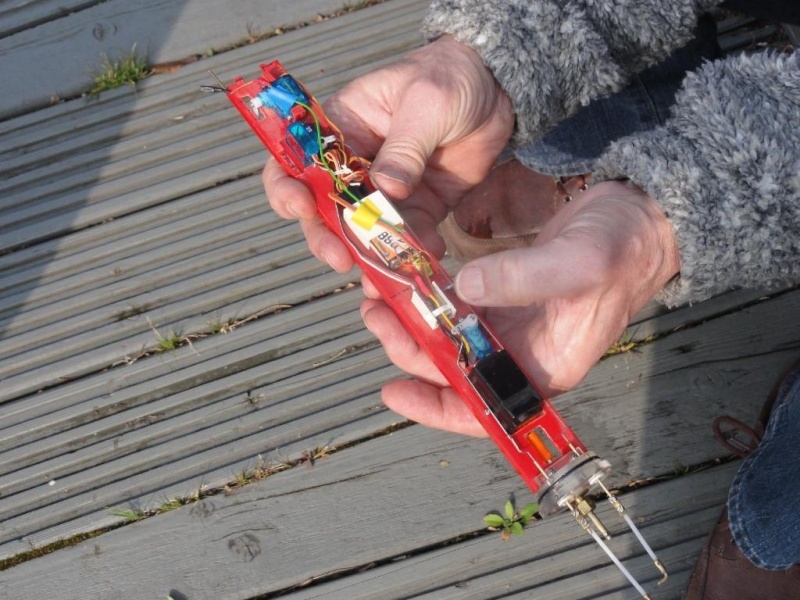 What I'm thinking of doing is finding the smallest micro/nano rc bits and pieces and cramming them into a 1/350 scale sub; I'm sure it's possible to do even though it would be very fiddly and a very tight fit! The WTC itself in this size is a concern and I'm not sure how to make a simple set up.